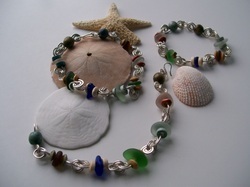 All Fire & Water bracelets and anklets are made of sterling silver with pieces of kaleidoscope seaglass. Numerous styles to choose from. Available in color shades of aqua, brown, green and white. Because of its rarity, shades of blue and lavender may be available in limited supply and is priced accordingly. Bracelets are 7 1/4" and anklets are 9". Can be custom sized to your preference. Definitely a fashion statement at the beach or on the land. All pieces come accompanied by a story of the artist, the glass and the meaning of the color. To buy our products online, please visit our Etsy website. 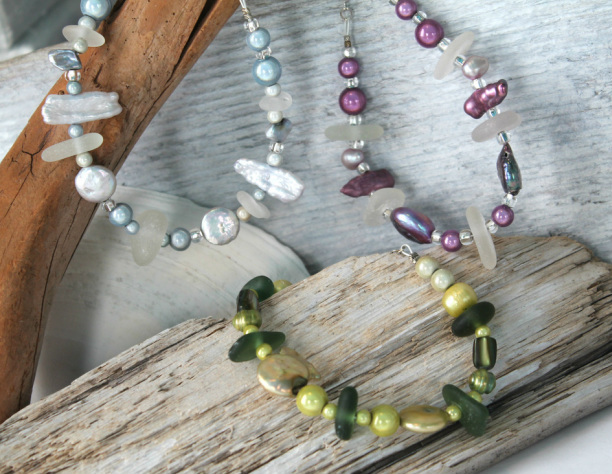 PEI Seaglass Jewelry is created with fun loving energy by local artist Teri Hall in the Fire & Water Creations Studio. She also invites friends to come play in the studio, especially Kim Goldsmith and Jane Milton. Buy our seaglass jewelry online or create your own. 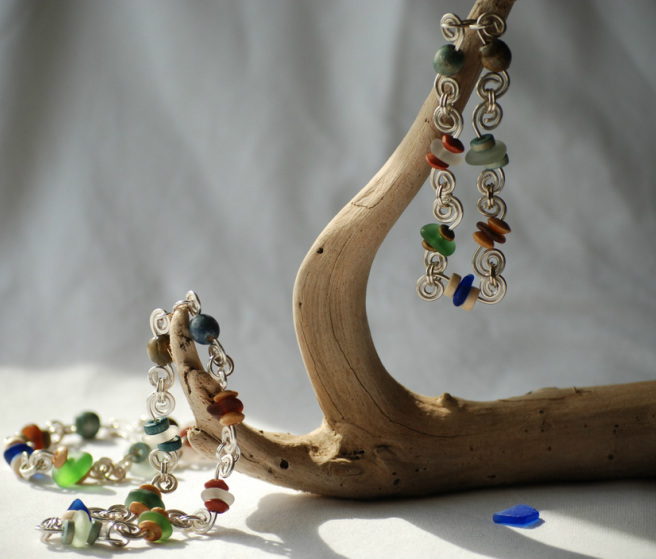 Seaglass Jewellery made in Prince Edward Island.